The Zuca Pro Artist is the bag of choice from amateurs to professionals alike. Artists and Makers come in all shades. Whether you're a painter, a make-up artist or just super creative; the Zuca Pro Artist is the bag you need to store, and transport, your tools in style. It's the same Zuca quality you know and love, but FAA certified as carry-on luggage, including 5 different pouch inserts to keep all of your supplies organized and easily at hand. 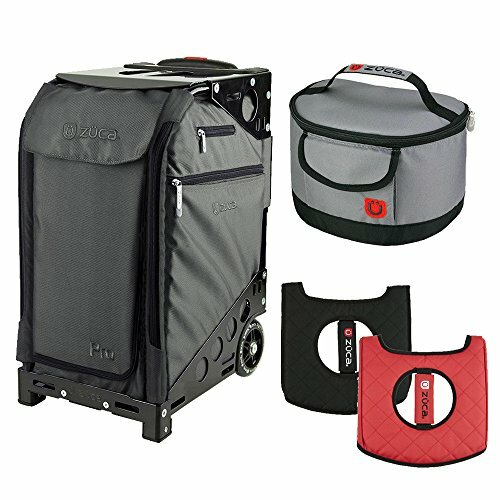 Being FAA certified as a carry-on, Zuca changed up the wheel design to be much more convenient. The recessed wheels make storing into overhead compartments a breeze. No matter where your next job takes you, you're ready to go with everything you need!